Consistency at the highest level of sport is a massive achievement and a mark of true class and skill. The fact that the two teams who fought it out for last season’s Euroleague Championship have already booked their spot in this year’s Final Four says a lot about these teams. Two 3-0 sweeps were completed last night in the Euroleague Playoffs, which means the Final Four is shaping up nicely. The Russian side found the going tough in the second and third game against Baskonia but they prevailed, which is surely the mark of champions. The margin of victory in both games was two points and the third game went to the wire. The game was still undecided in the final possession but Kyle Hines rejected the efforts of Adam Hanga and the Russians held on for the victory and the clean sweep. Cory Higgins provided 21 points in the victory, Nando De Colo offered 15 points and Milos Teodosic provided 13 points in the win. For the losing side, Toko Shengelia grabbed 19 points, Chase Budinger offered up 15 points and Shane Larkin and Hanga grabbed 13 points. This win sees CSKA Moscow looking for their eight Euroleague triumph but just as importantly, it gives the team a chance to defend their Euroleague, something the club has never achieved before. CSKA Moscow win the series 3-0. The 2017 Final Four will take place in Istanbul and Fenerbahce have booked their place in the hometown event. This is the first Euroleague Playoffs sweep for a side that didn’t have home court advantage, and the Turkish side have also become the first Euroleague side to clean sweep three Playoff series in a row. Bobby Dixon grabbed 13 points in the win, James Nunnally offered up 12 points and four players, Bogdan Bogdanovic, Nikola Kalinic, Luigi Datome and Ekpe Udoh all grabbed 10 points in the triumph. With Udoh also grabbing 10 rebounds, the player enjoyed a double-double on a fantastic night for Fenerbahce. KC Rivers offered up 16 points in the loss while Chris Singelton provided 12 points for the away side who now know their Euroleague dream is over for another year. 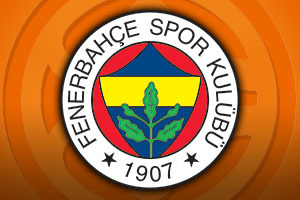 Fenerbahce Istanbul win the series 3-0. With these two series wrapping up at the earliest possible stage, it means that there will be no Euroleague Playoffs game on Thursday evening this week, but the action gets underway again on Friday night. Given that the score in both of Friday’s ties stand at 1-1, nothing will be decided in these match-ups this week, so there is guaranteed Euroleague Playoff action next week as well. There is a chance that last season’s Championship match could be repeated this season as these two teams have been kept apart in the Final Four. CSKA Moscow will take on the winners of the Olympiacos Piraeus v Anadolu Efes Istanbul clash while Fenerbahce Istanbul will clash with the winners of the Real Madrid v Darussafaka Dogus Istanbul tie.